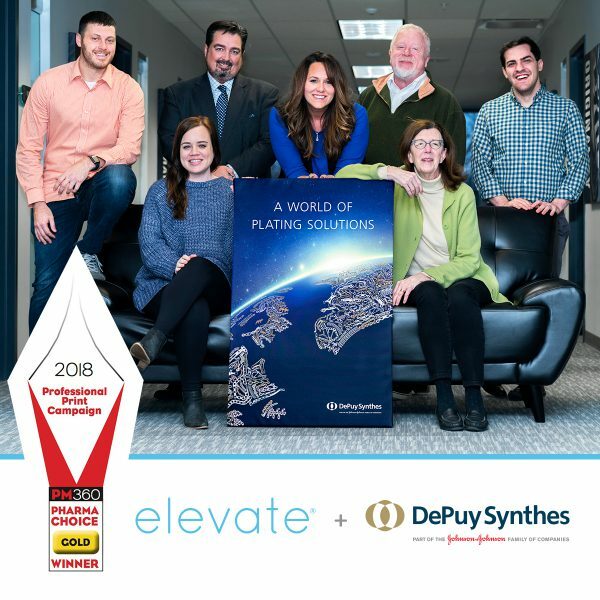 PM360, a leading trade magazine for marketing decision makers in the pharmaceutical, biotech, medical device, and diagnostics industries, has named DePuy Synthes and Elevate Healthcare as the Professional Campaign Pharma Choice Gold Winner. 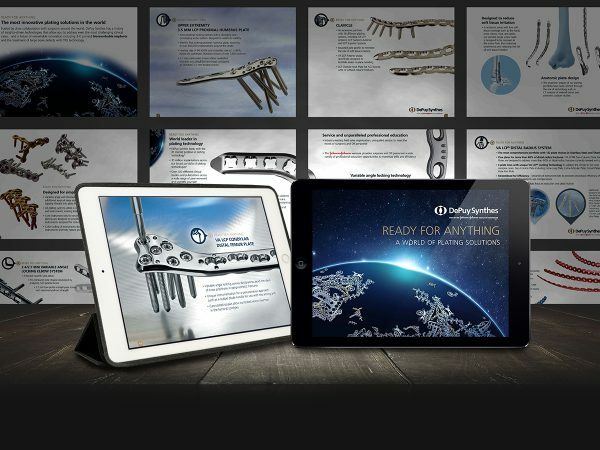 The “World of Plating Solutions” campaign was inspired by the DePuy Synthes global legacy of engineering excellence and unparalleled portfolio that provides traumatologists depth and choice to treat the most challenging clinical cases. It’s a globe-full of plating solutions that gives surgeons the right solution for the right patient at the right time. In total, 42 winners were named in 14 distinct categories: Animal Health, App, Consumer Website, DTC/DTP, Multichannel, Philanthropic, Professional Print Campaign, Professional Website, Sales Aid, Self-promotion, Social Media, Unbranded, Variety, and Video. A Gold, Silver, and Bronze award is given to the top three vote-getters in each category. The winning work is featured in the January 2019 issue of PM360. And can be viewed online at www.pm360online.com/2018-pm360-pharma-choice-award-winners.